UPR 8.8" housing Spherical Bushing is made of super strong 7075 Billet Aluminum and use a "teflon" coated com 12 bearing for maximum part life. 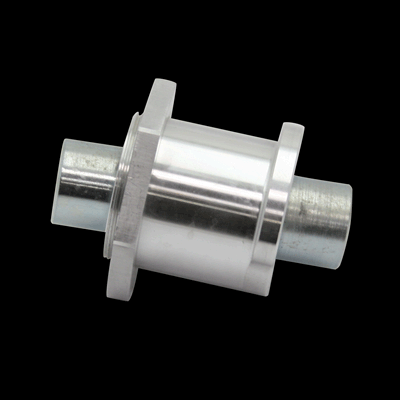 This bushing will let your rear upper control arm and rear end move smoother and faster for more traction every time. 2005 2006 2007 2008 2009 2010 2011 2012 2013 2014 4.6L 5.4L 5.0L 5.8L GT V8 Shelby GT500 Coyote Mustang Steeda Roush & Saleen Vehicles. No one else can stack up to the bold clean styling of our aftermarket Billet dress ups, Street Strip & Racing Suspension & Performance Parts for your late model American Muscle Car!